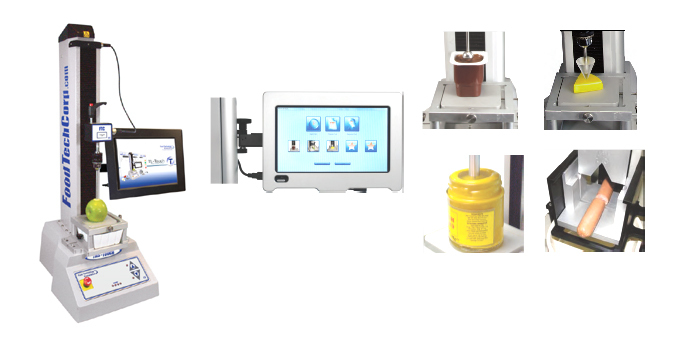 Easy to operate, Food Technology Corporation’s TMS-Touch texture analyzer is an affordable, stand alone system designed specifically for quick and easy food texture assessments. Operated via an easy to use Touch Screen LCD Console the TMS-Touch requires minimal operator training. Tests are performed at the push of a button to instantly determine consistent standards within the raw or finished product, saving time and money.